The second highest pitched member of the violin family. 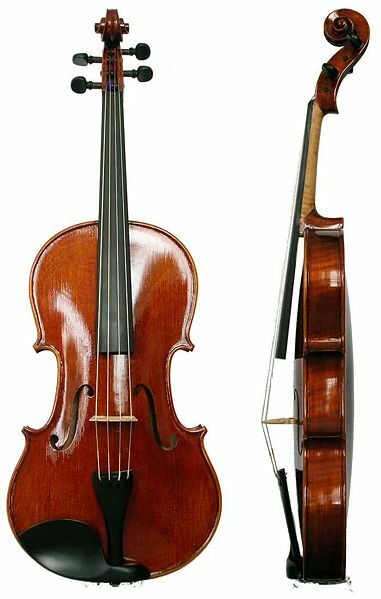 The viola is similar to the violin in most respects, however, it is larger and is a fifth lower in range (whereas the violin has strings tuned to g, d', a', and e'', the viola has strings tuned to c, g, d', and a'). Thus, the range of the viola is from C below middle C to A an octave above the treble clef.